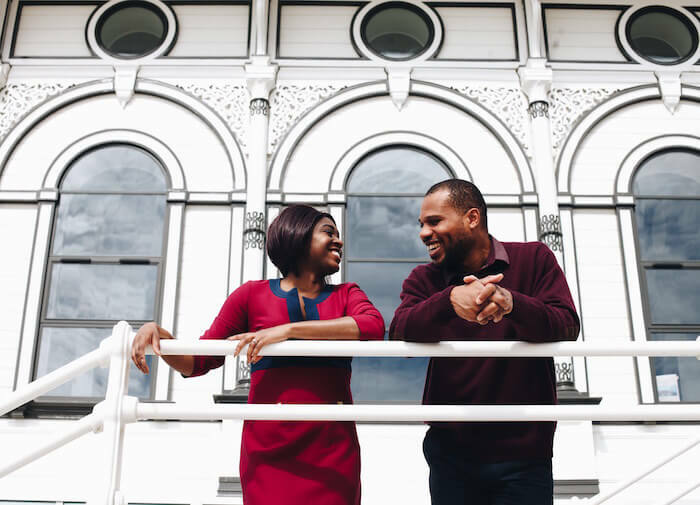 Emmanuel and Clare Anyiam-Osigwe are a soaring filmmaking power couple and together they are breaking barriers and establishing new standards in filmmaking in the UK. In 2005 Emmanuel founded the British Urban Film Festival, BUFF. It is a film festival that showcases urban independent cinema. Though founded and hosted in the United Kingdom, BUFF has grown to have partners across Europe in Holland and Germany in addition to its substantial growth in the UK via television partnerships among others. 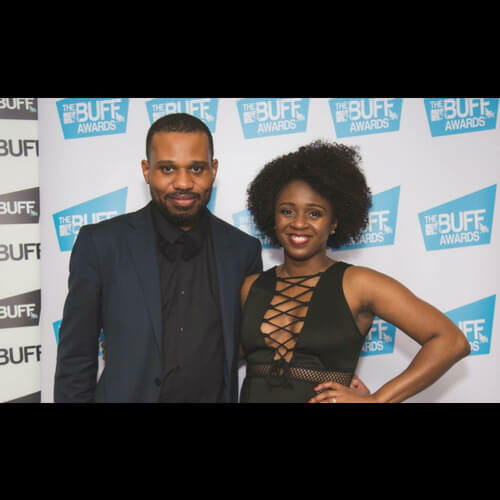 BUFF has also produced original film content including the romantic comedy/drama, No Shade, written and directed by Clare Anyiam-Osigwe, Emmanuels’ wife. No Shade deals particularly with skin complexion. Jade is a successful freelance photographer who falls in love with her best friend of 10 years and the phenomenon that keeps them from happiness is her complexion and skin tone. Her shade! No Shade premiered this June at BUFF’s 13th annual film festival after two press screenings in Cannes, France. It also generated incredible anticipation in the UK due to its wide press and television coverage and social media buzz. Emmanuel, BUFF is extremely passionate about representation in film, specifically in the UK. Can you elaborate further on representation for who and why the passion to bring about this representation? The U.K. has some of the most exciting talent in music and entertainment (film, theatre) but the funding institutions wouldn’t green light the work of black directors, producers or writers. There was an abundance of training and apprenticeships being offered but no actual commissions for almost 20 years. This year we have seen 4 or 5 black creatives commissioned to tell stories out of the hundreds commissioned annually. But who knows if this is a 1 year deal and then nothing again for another decade. I wanted to create a consistent space for black and working class talent to export their work to the world, grow their audience and keep active without the interruption from white gatekeepers. For 14 years, BUFF has been that place. Clare, No Shade is a BUFF original romance, comedy, drama feature film, written and directed by you and produced by your husband. The film deals particularly with skin complexion. Can you elaborate on it? Sure. No Shade is a tale that unfortunately most brown skin girls know. From Angola to Zambia, London to Lagos, Atlanta to Australia, wherever you find black girls with a rich melanin hue, you will also find a story of their tragic degradation from men and women who look like them and their white counterparts. As a black girl I was often told in my teens that I looked like a troll (the toy with the big brown eyes and Woolley Hair) or a gorilla by light skinned girls. I was told by black boys that I was pretty for a dark skinned girl, thus meaning that the default of a black girl is that she is inherently ugly. I knew I had to tell this story, not for me, but to recognize the problem that black women face and the sad truth that it’s men from within our community that are often the biggest perpetrators of these comments and projected viewpoints. The character of Jade in No Shade represents any dark skinned black girl that is deemed less than attractive, simply for being to dark. Clare, the first film cover of No Shade is startling. Was that mascara or some kind of skin bleaching make up on Jade is applying on her face? Or is she removing it? Either way, it’s a poignant image. The first cover is quite harrowing. It’s actually a still image from a scene in the film. Jade is experimenting with makeup 10 shades lighter than her skin to see if she’d be comfortable with looking lighter. 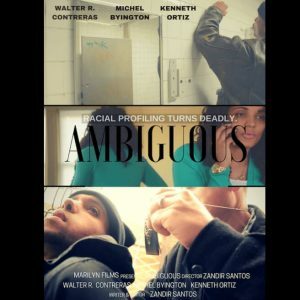 We wanted to hit the audience with something that was unmistakably about colourism. The stark truth is that there’s a black girl somewhere in the world right now buying foundations that are too light for her, adding filters to her phone to contour her nose or skin shade or purchasing whitening creams that can cause skin cancer. I wanted the audience to be moved by the image, to stop and consider the issue. 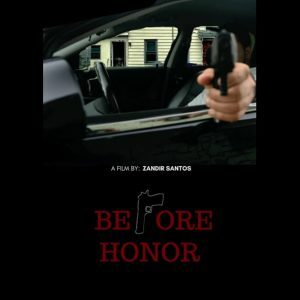 The second poster was produced after the film was edited. It reflects the rhythm and comedic tempo of the film and feels more like a romantic movie than an issue based film. 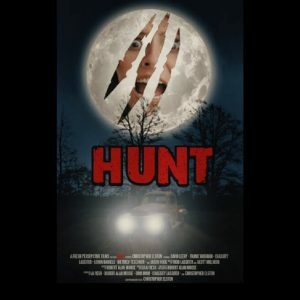 I think it has wider appeal and invited more curiosity in contrast to the first poster. 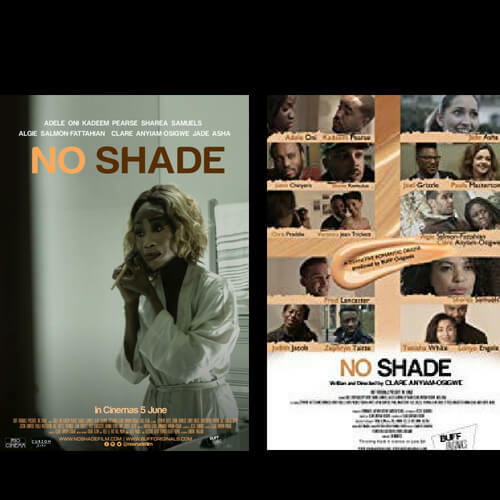 No Shade will see its US premier on Aug 19 in Washington DC as the closing night premiere for ADIFF (African Diaspora International Film Fest). You can get your tickets here and view the trailer here. 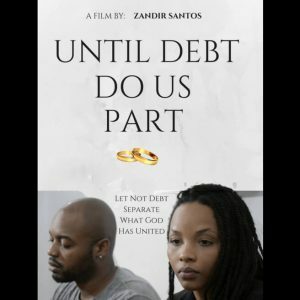 We encourage you to support independent filmmaking by viewing the film and we’d love to hear your take on it. When you do simply comment below or send us your comment via our CONTACT page. Hey, why not subscribe to our newsletter? We’ll keep you updated with everything MarilynFilms.com and you’ll receive promo codes directly to your inbox.